The Stephens County Sheriff’s department is investigating after a Duncan family’s tractor was vandalized over the weekend. 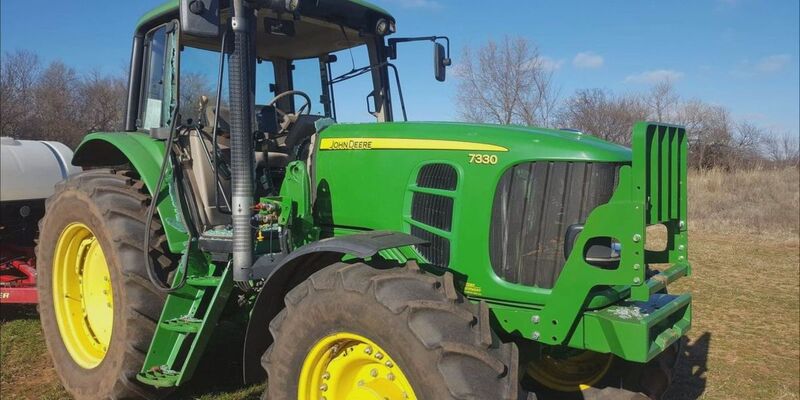 DUNCAN, OK (TNN) - The Stephens County Sheriff’s Department is investigating after a Duncan family’s tractor was vandalized over the weekend. “Without that tractor, it cripples our operation. Absolutely cripples us,” said Justin Mangum, whose tractor was vandalized. The Mangum family had been out feeding cattle on Saturday when they discovered their tractor had been vandalized. “As we were heading down the hill, we noticed there wasn’t a glare on the windows,” said Justin. As they got closer, they saw the extent of the damage. Batteries from Justin’s thermometer gun that were beaten with a hammer by the vandals are left laying in the field where the tractor was. The Mangums have since taken their favorite tractor to the John Deer dealership to be assessed for insurance. Justin and the officer who saw the damage said they think it will cost around $20,000. Before the damage, the tractor was worth around $90,000. Laramie Mangum, Justin’s wife, said she hopes whoever did this will learn something from their mistake. “I really hope the kids that did this, it really opens their eyes and makes them see that you do have to work for things, and it really makes them go on the right path,” said Laramie. The Mangums ask that anyone who has any information about the vandals to contact the Stephens County Sheriff.